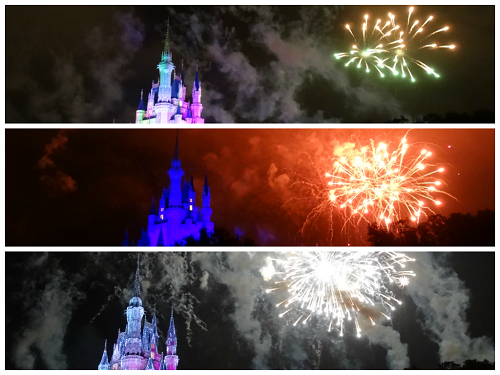 My most recent trip to Disney World took place from November 20th to November 24th just last year. 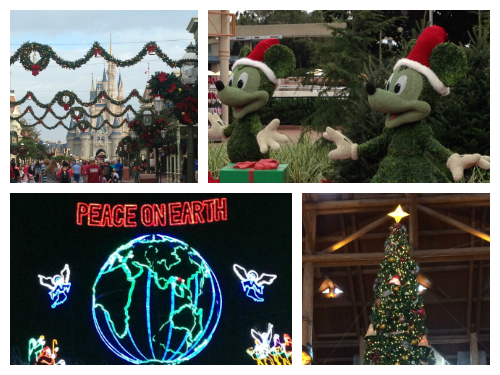 My family was hoping to see the Christmas decorations and events up and running before the large crowds descended, and indeed, when we arrived on Wednesday, 11/20, Disney’s holiday spirit was already in full swing. We were staying at the Yacht Club on the concierge level, and were checked in to room 5177 at around 12 PM. For those of you wondering, the concierge level is basically a special floor in on-site hotels that has its own check in/check out desk and its own “concierge lounge,” which concierge guests can visit and get complementary meals, snacks, and drinks throughout the day. It costs a little extra, but I would recommend trying it at least once! The accessible food is especially convenient, and if nothing else, it’s a really fun experience that helps you feel a little like Disney royalty! Pretty great! We were basically right across from the iconic lighthouse, which was unbelievably lucky. It was especially cool to sit on the balcony at night, when the entire boardwalk was lit up just across the way. Once we were all ready to go, we headed over to one of my favorite places in Disney: Epcot’s World Showcase! 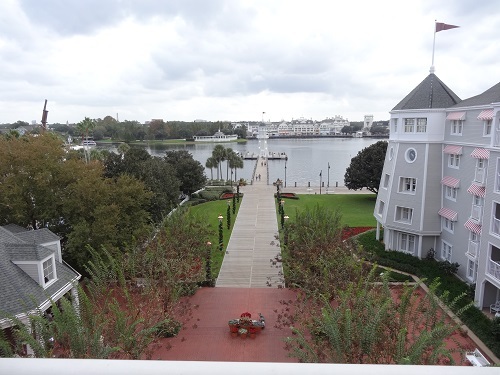 A great perk to staying at the Yacht Club is the ability to walk directly into the back of World Showcase. There is a path that will lead you right into France, and it was remarkably uncrowded this time around. We arrived the week before Thanksgiving hoping that crowds would be light, and we were in luck! The weather was cloudy and a little rainy, but temperatures were steady in the high 70’s. We explored France for a bit, stopping in the well-known stores and taking pictures by the wonderfully decorated Christmas trees. 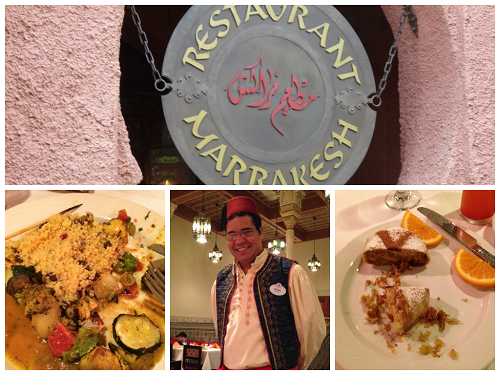 We eventually made our way to Morocco, where we had a lunch reservation at Restaurant Marrakesh. I’m not the most adventurous eater, but my mom was dying to try Moroccan food and so we dove in to the authentic dishes. They were actually quite good, and my mom (who is a far better judge of good food than I am) was very impressed by the chicken bastilla. We finished up at Epcot (enjoying our time in Italy, Germany, Norway, and Mexico) and then caught a Monorail to Magic Kingdom at around 4 PM. First stop, Main Street, USA! The three of us shopped around on Main Street for a bit before exploring the other subsections and getting on some rides. We ventured off into Adventureland in pursuit of two of my favorites: Pirates of the Caribbean and the Jungle Cruise! Despite the little bit of rain that fell in the afternoon, the rides were so much fun. We took a quick detour through Liberty Square to ride another personal favorite, the Haunted Mansion, and then proceeded to new Fantasyland. 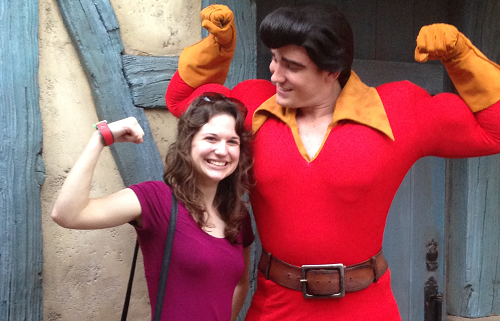 We didn’t have a whole lot of time to dedicate to new Fantasyland, as our dinner reservations were coming up, but we did take a peek at the new Be Our Guest restaurant, and I even got to hang out with Gaston! If you’re in the area, he’s definitely worth waiting for — he’s completely hilarious! At about 5:30, we went to the Plaza Restaurant for our dinner reservation. They had pretty basic dishes — meatloaf, chicken, sandwiches, burgers — but we were all relatively satisfied with both the meal and the service. Honestly, the best part of the dinner was the view of the castle; we were able to watch Magic Kingdom slowly light up as the sun set. 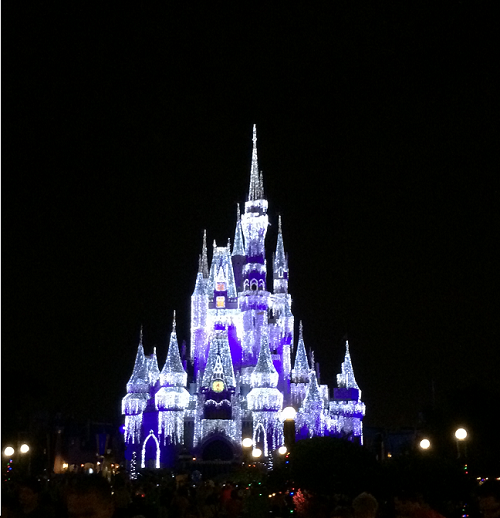 After dinner, we gathered around Main Street to watch what is now one of my favorite parts of Christmas at Disney World — the ceremony that lights up Cinderella Castle with thousands of sparkling holiday lights. It was perfect! While waiting for Wishes, we decided to spend our time in Tomorrowland. It was relatively uncrowded since the rest of the park-goers were likely staking out spots for parades and fireworks. We were able to use our FastPass+ for Space Mountain, which is always scary but in the end really fun. Then we stopped by Buzz Lightyear’s Space Ranger Spin, and eventually the Monsters Inc. Laugh Floor, which we had never been to previously but turned out to be hilarious, thanks to some funny interactive bits with the crowd. Thanks for reading! Next time I’ll be talking about our time at Hollywood Studios and the Osborne Family Spectacle of Dancing Lights!